Hi I am Matsu from　J-Hoppers　Hida Takayama. 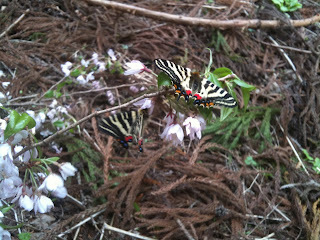 The hiking season has just started in the Japanese Alps in places like Kamikouchi,Norikura…. Many people have gone hiking to Kamiko-chi since then. Gifu butterfly was found in Gifu prefecture in 1883. My dad was known as a butterfly professor and loved butterflies. 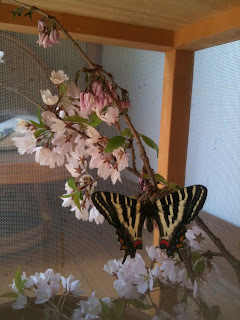 He kept some pupa of the butterflies in my home last year. My father passed away last year suddenly. My dad taught us the preciousness of life through butterflies. We looked after them carefully. We managed to do it . I think my dad would be happy with what we did.